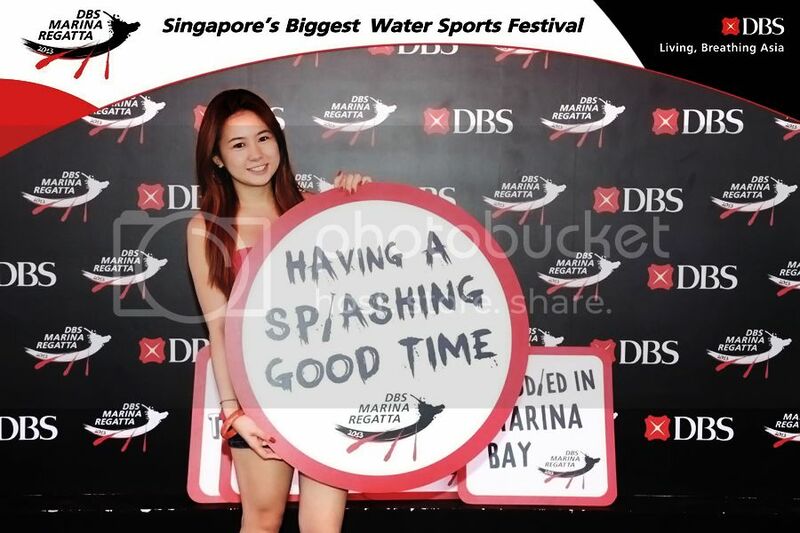 Did you get to read my previous post on the DBS Marina Regatta 2013? If not check it out by clicking [HERE]. I was there for both days, and boy, the weather was really hot! 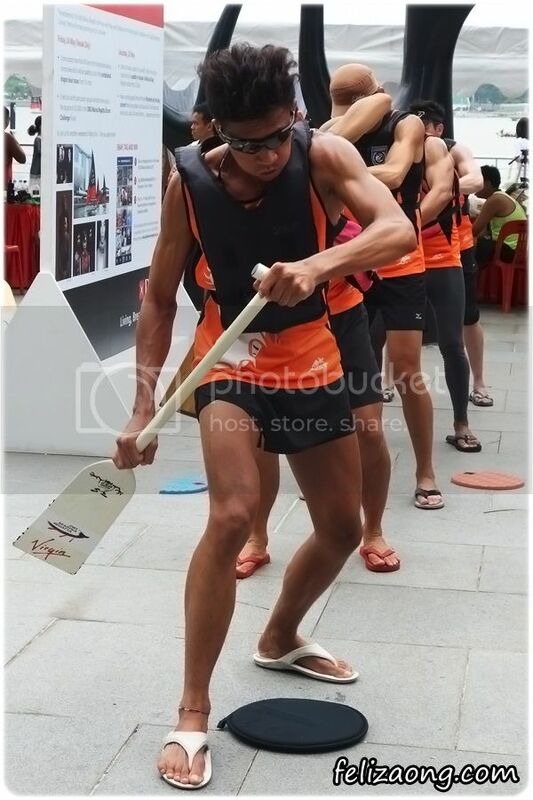 I think other than watching the dragon boat races, as well as people-watching (I mean, c'mon... You can't deny that there were gonna be hot bods all around given the frequent and tough training that these rowers have! 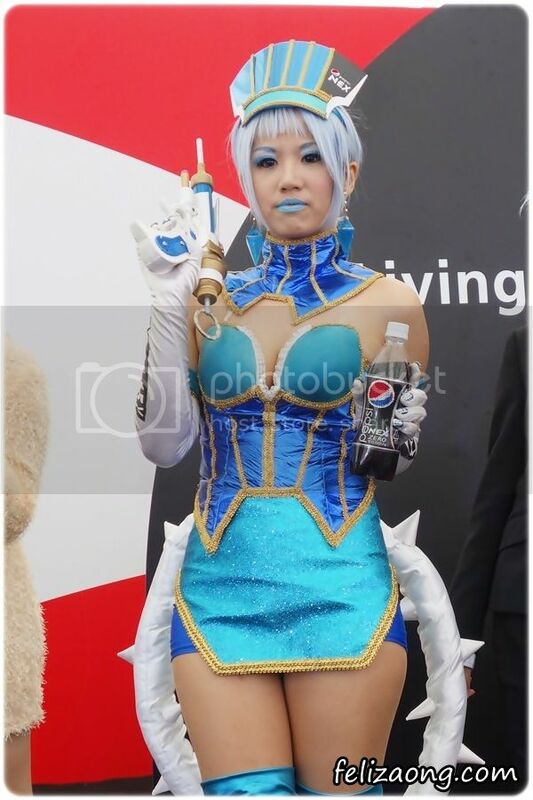 Heh~).... The next best thing at the event was the photo booth for people to actually have their photos taken by the photographer at the tent, posing with props and all! The photo would be transferred via WiFi to a large touchscreen and you can send the photo taken to your email inbox! 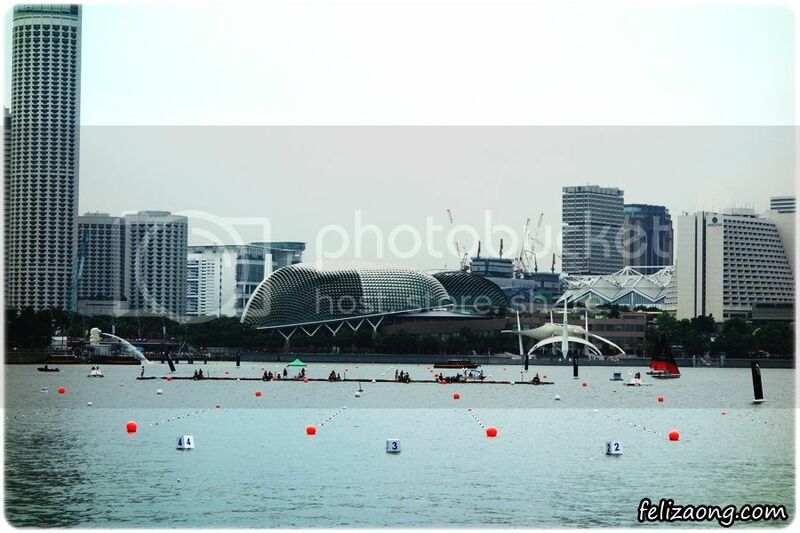 It was certainly exciting to watch so many teams within Singapore and the region competing among each other. 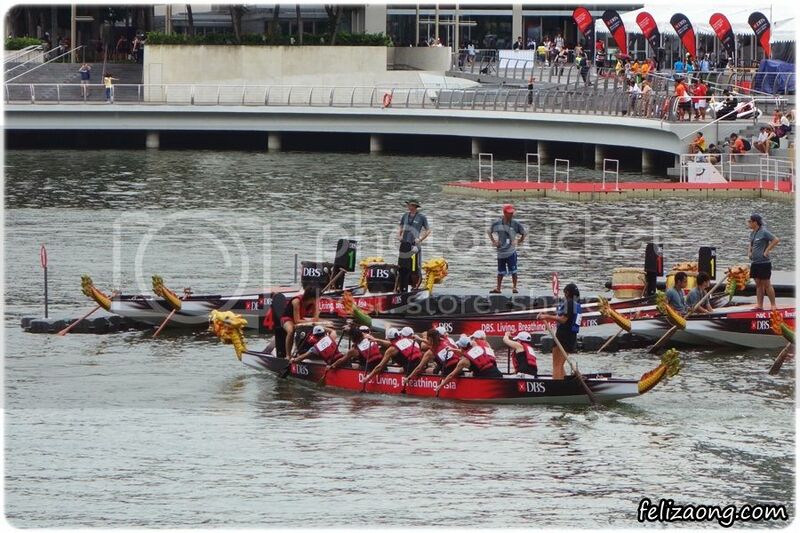 There were even the teams from Singapore, Thailand, Indonesia and Australia. 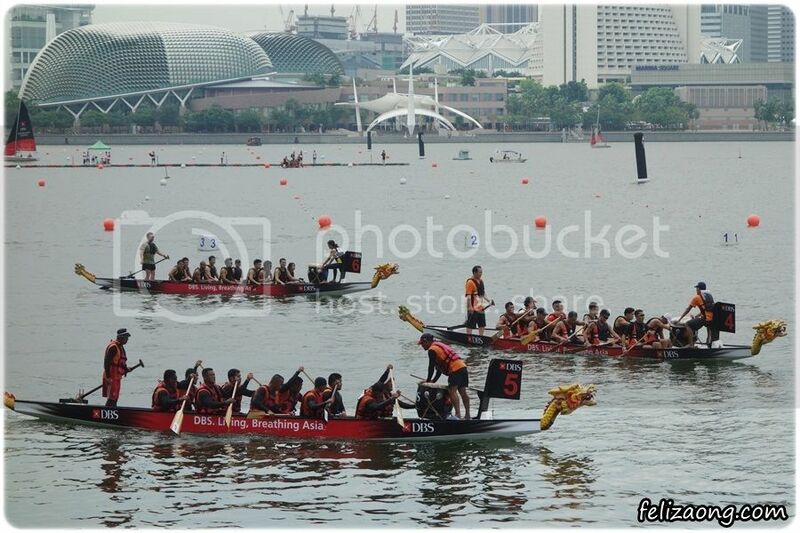 It was my 2nd time watching a dragon boat race. 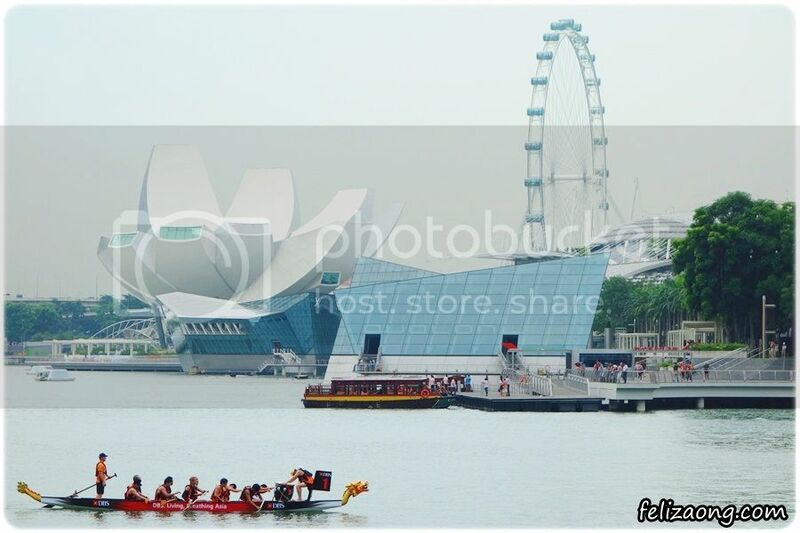 But my first time watching dragon boat races at "Singapore's Biggest Water Sports Festival". of female participants this year, as compared to in 2012. Shot of a team after a fierce race which they have given their all. that short frame of time during the race. I was walking around the event ground and I 'stumbled' upon the Regatta tent. 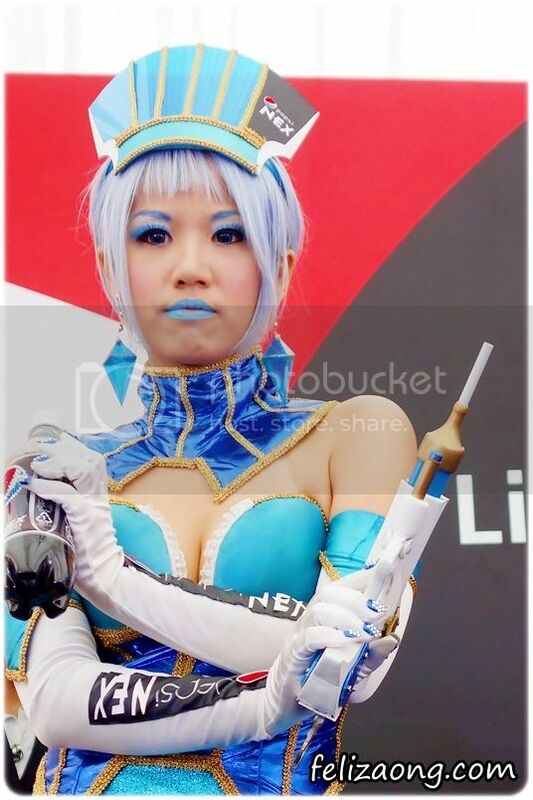 I saw that there was some sort of a 'cosplay (fashion) show" whereby some cosplayers were up on stage, strutting away, showcasing their cosplay costumes. 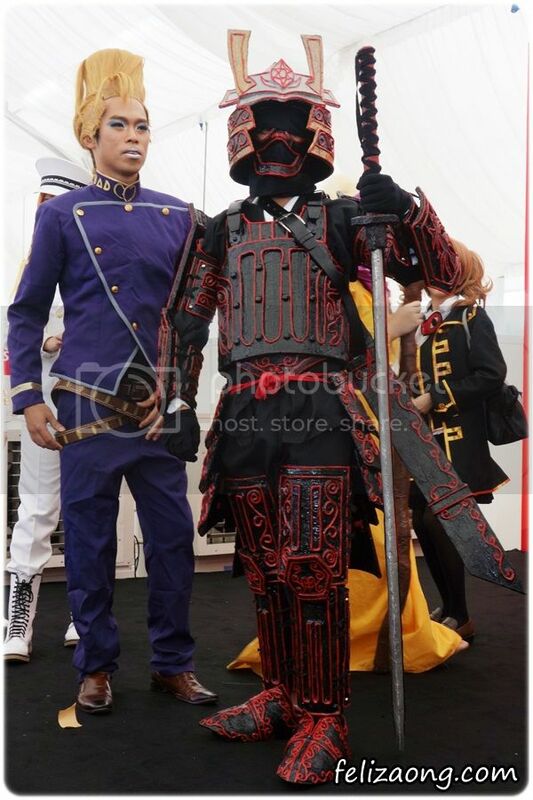 Honestly, I have no idea what the anime characters that these cosplayers are dressing up as. But still, I took some shots. 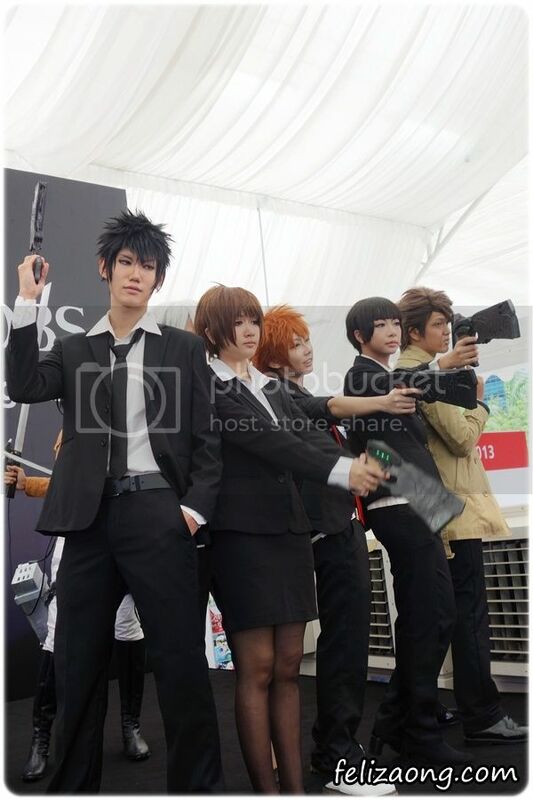 Heh~ Do you recognize any? 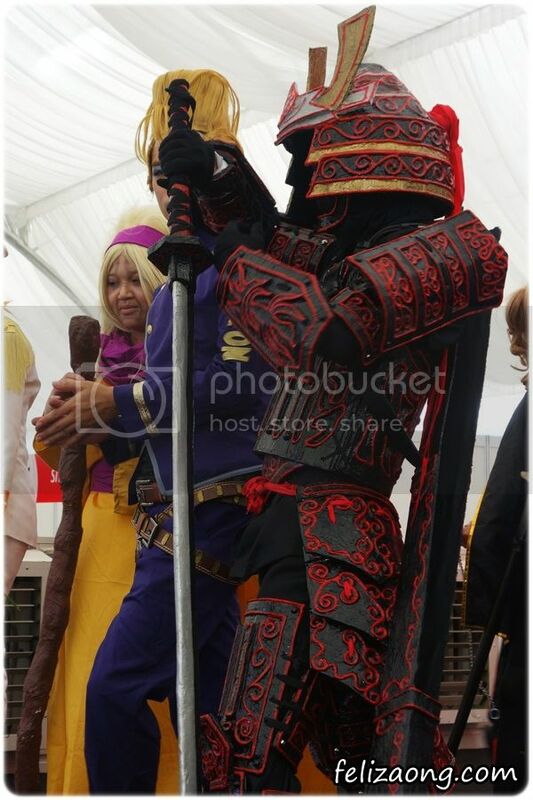 I think this Samurai dude has the best costume lah! 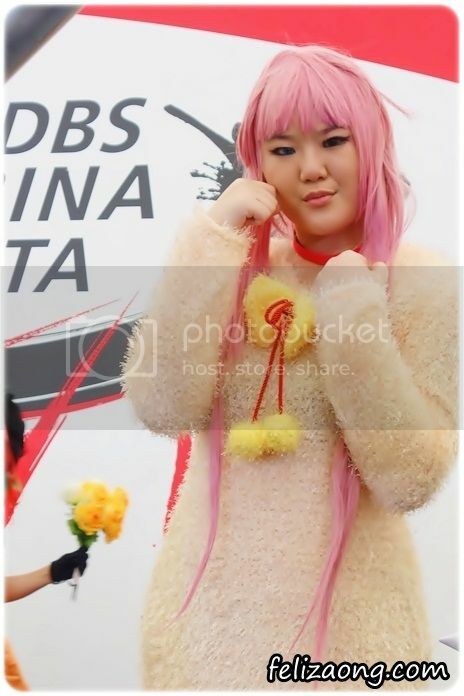 Imagine wearing this in the sweltering heat?!! 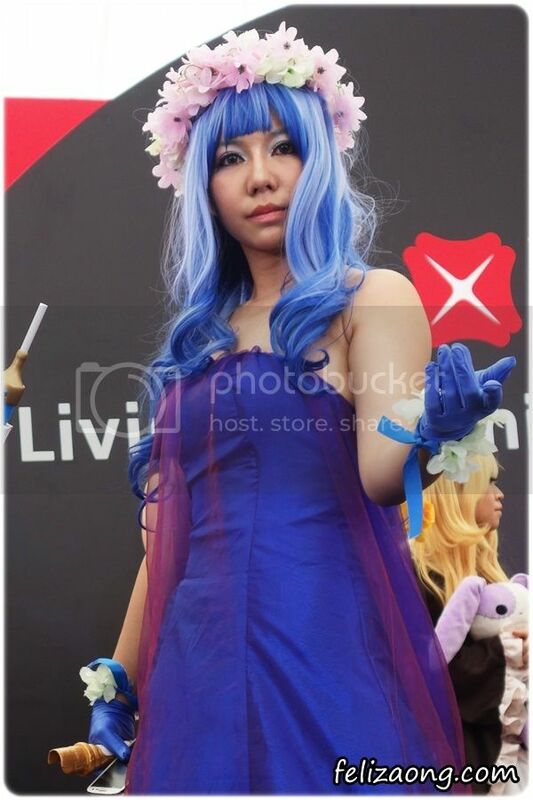 I was wearing a tube and shorts outfit and I was melting already!! 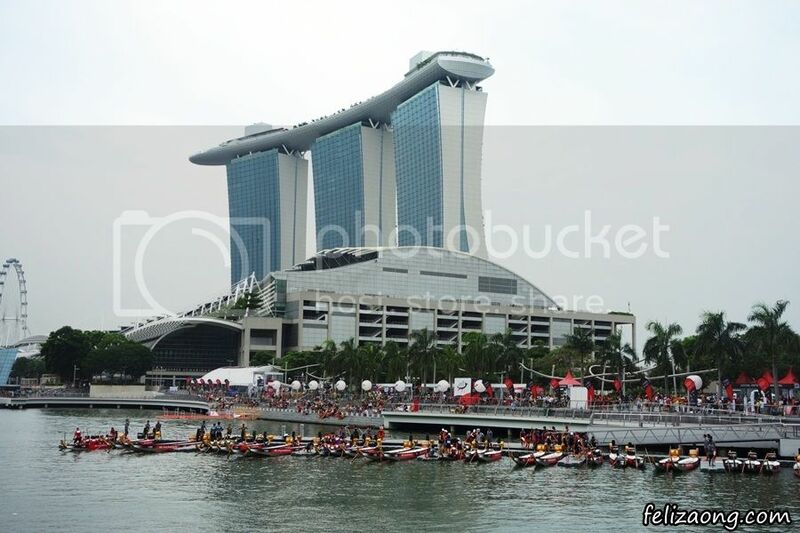 Although the competitive dragon boat races are over, but do check out the Bay Festival that is happening at the Waterfront Promenade @ Marina Bay on this coming weekend - 24 and 25 May 2013! 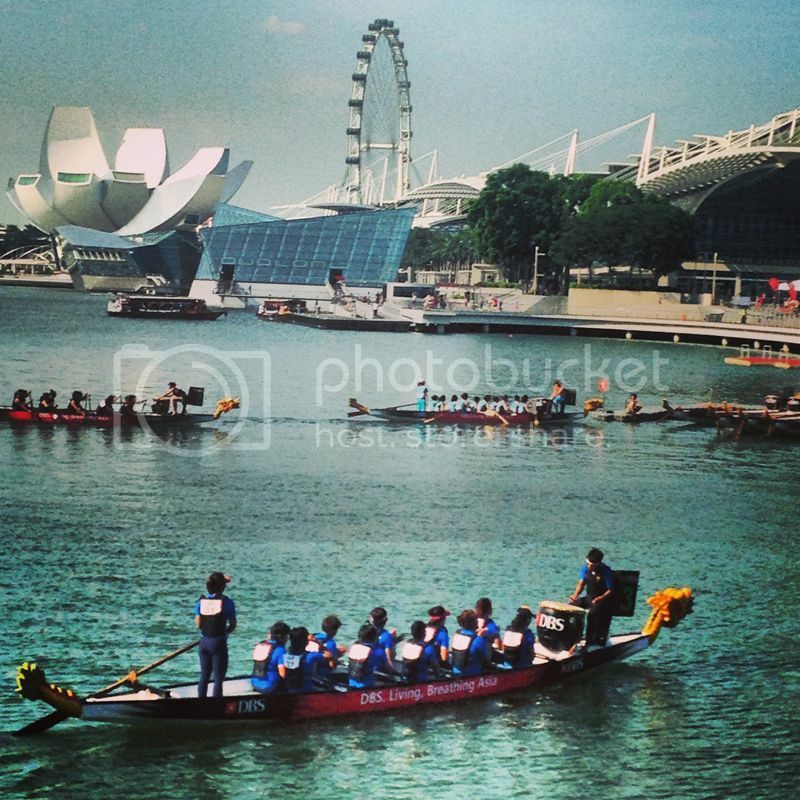 There will be close to 50 teams that would be taking part in the invitation dragon boat races on 24 May (2~6pm). Sign up to try out dragon-boating or kayaking for free, on 25 May (36pm, registration starts at 2.30pm on first-come-first-served basis). There will be percussion competition and music performances by local acts like Jack & Rai, as well as Electrico. 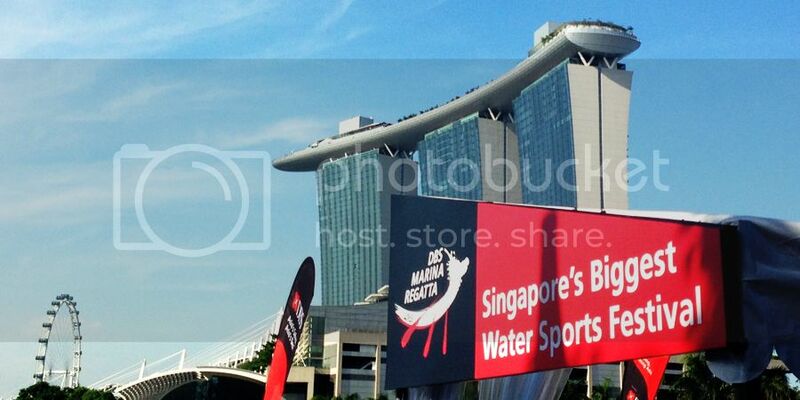 Check out the DBS Marina Regatta site for more info, just click [HERE]. 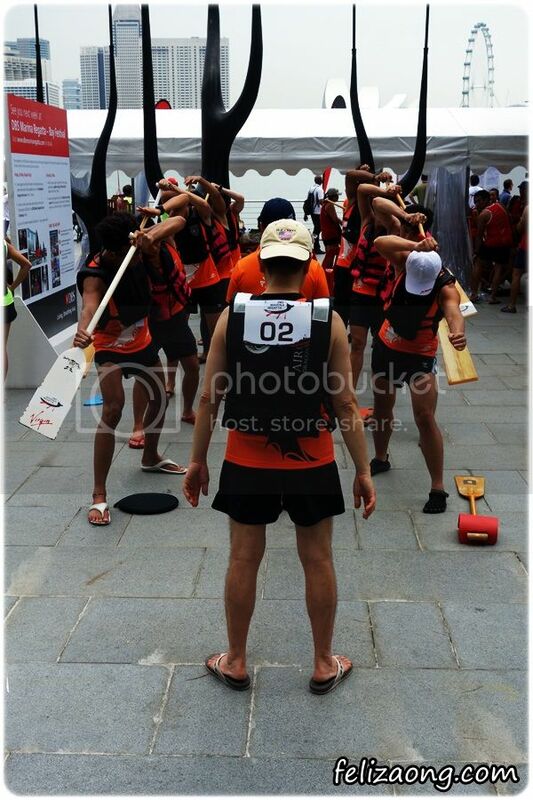 A quick summary of the dragon boat event last weekend! I found this video on Youtube (see below) and thought I would like to share it with you. I did not stay till the closing ceremony on Da 2 of the event so I did not have the chance to video this.This video shows the kite-flying display which was really beautiful. I do know of kites with LED lights, but not that that can do spirals! It was rather amusing at the 3:10min of the video. I can't help but to think that they look like tadpoles (or you know, sperms, too. Haha!). Firework display was nice, seems like a good budget was put into the firework costs, considering that it was for a race event. Good job! I do like the sparkly fireworks, that falls like gold dust. Magical sight! 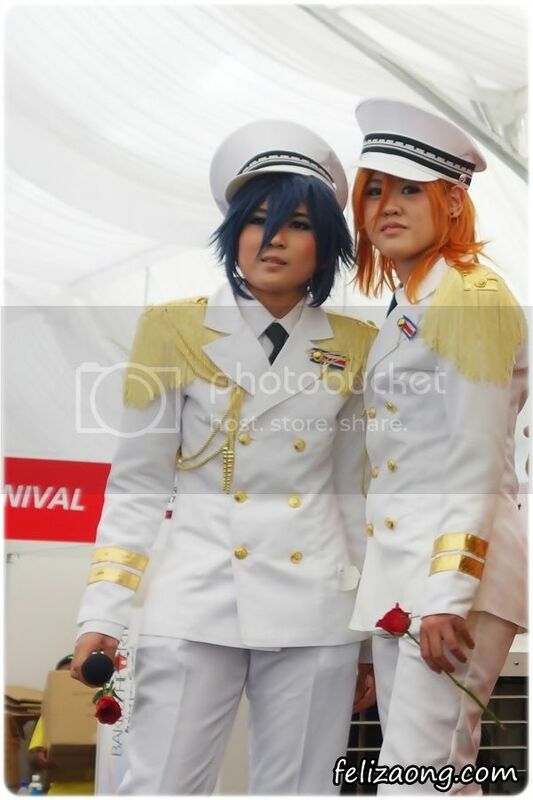 (Credits to the person whom filmed and uploaded this video online). So go on, check out the Bay Festival this weekend! Ciao!